Human faces loom over the city on the sides of skyscrapers, colorful characters cover industrial silos and Boeing airplanes and entire neighborhoods serve as canvases for optical illusions in some of the world’s largest-scale murals. 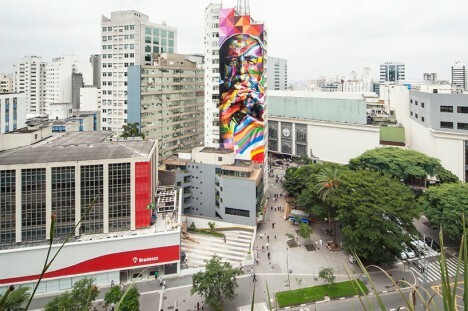 Taking up hundreds of thousands of square feet in some instances, these massive works of urban art required an astonishing amount of paint to produce. 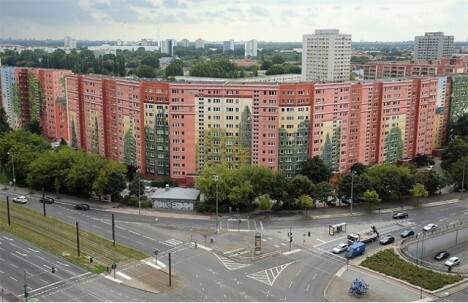 Believed to be the world’s largest mural, this project in Berlin measures as astonishing 236,800 square feet and consists of imagery inspired by the nature in a nearby zoo. 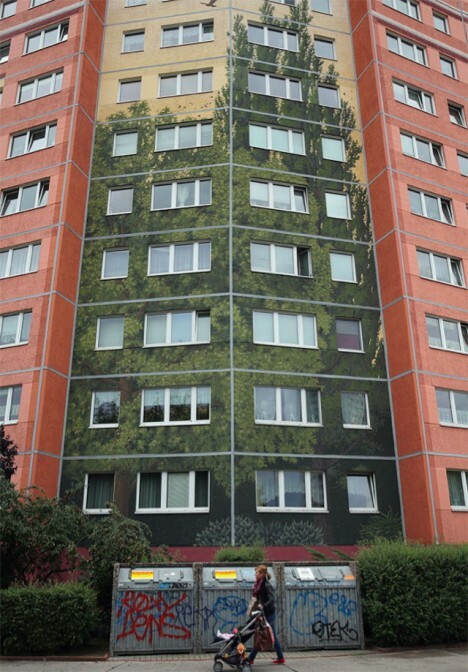 Completed by the French mural company CiteCreation, the work spans three buildings of an apartment complex and appears to significantly best the current Guinness World Record holder, the 178,200-square-foot Pueblo Levee Mural Project in Colorado. 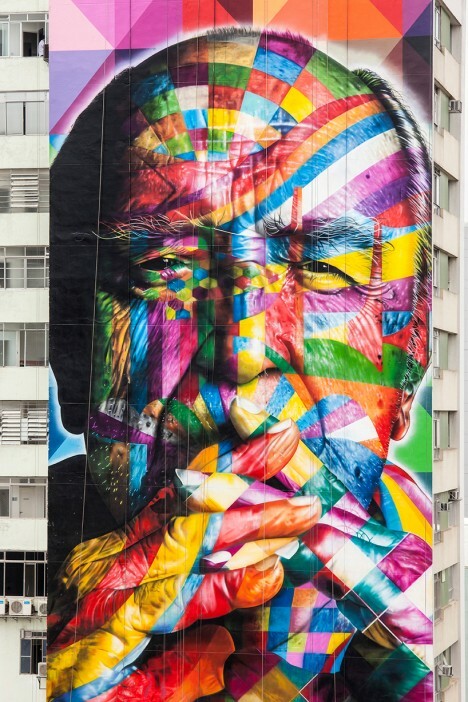 Nearly the entire height of a skyscraper in Sao Paulo, Brazil pays colorful tribute to architect Oscar Niemeyer in honor of what would have been his 105th birthday. 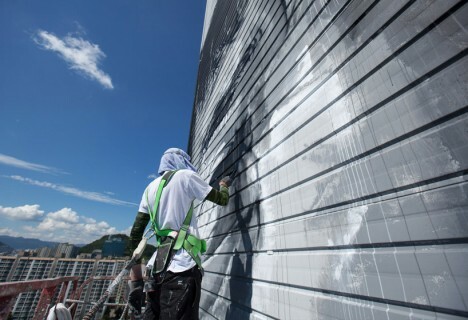 Muralist Eduardo Kobra completed the 170-foot-tall work of art in early 2014 with the help of four other artists. 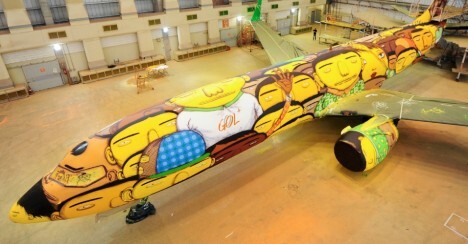 It took 1,200 cans of spray paint to complete this incredible mural on the outside of an entire Boeing 737. 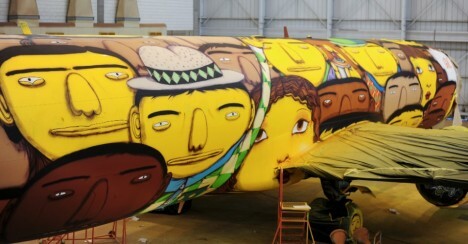 Brothers Otavio and Gustavo Pandalfo, known as Os Gemeos, painted their signature yellow characters on the plane that carried the Brazilian national football team during the World Cup, completing the project in just a week. 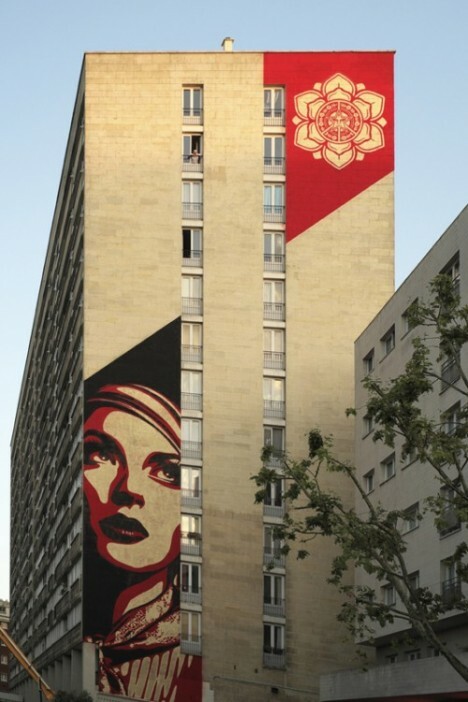 Known best for his iconic political portraits, artist Shepard Fairey also works in larger scales, with this 14-story mural in Paris being a notable example. 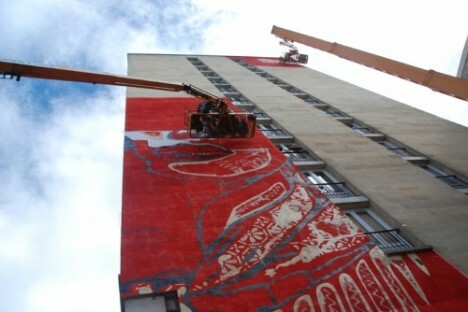 Working in conjunction with Mairie du 13e, Butterfly and Mehdi from Galerie Itinerrance, Fairey completed the mural for a community art project called Street Art 13. 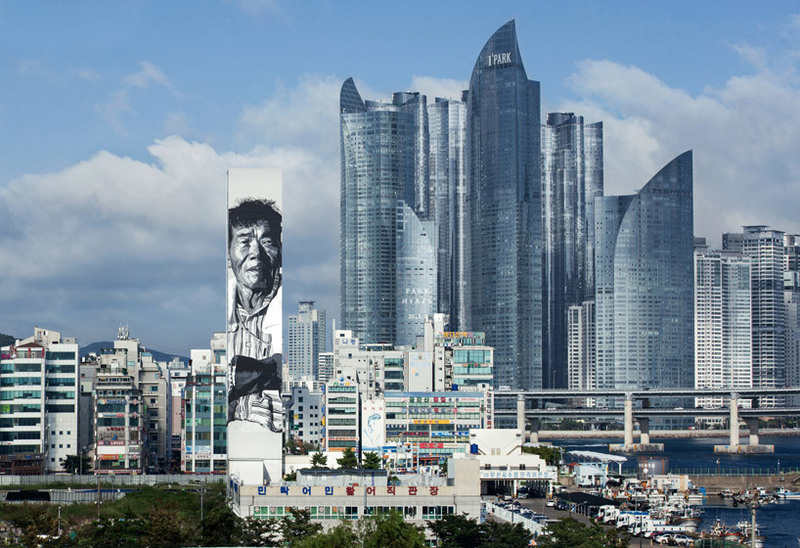 A 230-foot-high building standing in the foreground of Daniel Libeskind’s glimmering Hauendaue i’Park building in Busan, South Korea, this mural by German artist Hendrik Beikirch depicting a fisherman stands as a reminder of the nation’s working class.